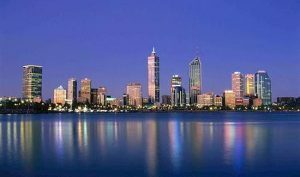 Relocating from or to the Top End of Australia can be an exciting but a costly move. But with Australian Container Removals Darwin, you can enjoy a stress free and cost effective move, with shipping container removals services in Darwin and Alice Springs that can make your life a whole lot easier and affordable! Here are some of the suburbs in Darwin that our customers have self packed and moved Interstate from or to: Howard Springs, Palmerston, Fannie Bay, Berrimah, Shoal Bay, East Arm, Rapid Creek, Moil, Tiwi, Coonawarra, Hidden Valley, East Point and Rosebery. We also provide a service from and to other most other areas of Northern Territory. These areas currently include Katherine, Alice Springs, Nhulunbuy, Daly River, Victoria River, Pine Creek and Jabiru. Australian Container Removals Darwin has been providing professional shipping container logistics for many years, with over 20 years experience. So when you need the very best in shipping container removals in Darwin or the Northern Territory for your move, contact us online or call 1300 857 851. Our friendly and experienced container removal team are here to help and provide the best support and service. View our recent testimonials here.